When discussing heroin addiction treatment, the numbers paint a grim picture: heroin use has been increasing throughout the years. Reports show that both men and women from all age groups and income levels are susceptible to heroin addiction. Unfortunately, the consequences are already showing their grotesque face. Due to the increase in heroin usage, the number of overdose deaths has spiked as well. The Center for Disease Control and Prevention reports that there has been a four-time increase in heroin overdoses. Moreover, just in 2015 alone, there were nearly 13,000 heroin-related deaths. The problem is that most people don’t understand heroin addiction treatment and often judge those who are struggling with this disease. But, here’s the thing: more often than not, heroin addiction is the result of misuse of prescription opioids. Once patients develop a dependence on these drugs, they may turn to heroin to satisfy their urge. Moreover, not only is heroin extremely addictive, but its withdrawals can have severe, life-threatening symptoms. Extreme cravings force patients to take another dose to soothe their pain. However, even if they manage to push through the cravings, other symptoms like seizures may endanger their health. These are just some of the reasons why those battling heroin addiction need to undergo a supervised detox and heroin addiction treatment program to heal their minds and bodies. What Types of Medication Do Medical Detox Programs Offer? 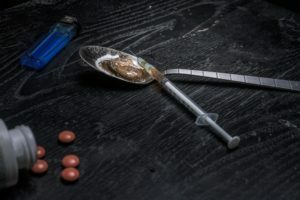 Patients suffering from heroin withdrawal usually receive medication to help relieve some of the symptoms and increase the chances of retention. These drugs are non-addictive and may help keep cravings under control as well as improving other withdrawal side-effects. Methadone, which is a slow-acting opioid agonist. The drug has been proven to help patients who do not respond well to other medication. Buprenorphine, which is a partial opioid agonist. It relieves cravings without having the side-effects of other opioids. Naltrexone is an opioid antagonist that blocks the action of other opioid substances. However, a lot of patients have reported difficulty in receiving this treatment. As such, its effectiveness remains unclear. How Long Should One Go to Heroin Addiction Treatment? Each addiction is unique and requires different treatment plans. As such, it is hard to establish a clear period for an effective rehabilitation program. The National Institute on Drug Abuse stresses the importance of patients receiving an adequate treatment plan, stating that those who receive long-term treatment have a higher success rate of overcoming addiction. A medical professional usually establishes the period of treatment after properly assessing the patient’s condition. What Are the Best Therapy Options to Treat Heroin Addiction? Patients that follow a complex treatment plan have a better chance at a full rehabilitation. Detox facilities offer such treatments, addressing not only the physical nature of the addiction and the withdrawal symptoms but also the cause of the addiction through behavioral therapies. Such therapy sessions are vital to ensure that patients can manage cravings after they’ve gone through withdrawal. Other psychological issues that may have led to the heroin addiction (abuse, family history of addiction, etc.) also must be discussed and treated during the patient’s recovery. How Do Rehab Programs Address Co-Occurring Issues? Detox centers employ professionals that are specialized in treating a variety of co-occurring conditions. These specialists understand that addiction treatment cannot come under a one size fits all umbrella and that most patients require medical attention not only for the addiction itself but also for overcoming challenges caused by their disease. As such, a team of experts must assess the patient’s condition before establishing the course of treatment. Once the individual’s file is complete, the medical personnel will set the necessary plan of rehabilitation. For heroin addiction, patients must undergo both a medical and behavioral treatment. How Do Rehab Programs Teach Relapse Prevention? First, it is vital to establish that relapse is by no means a sign of failure, but more an indication that treatment either needs to be continued or adjusted. Relapsing is a common issue that patients may face, and detox centers are equipped to handle this condition. Prevention techniques are integrated within behavioral therapy programs that aim to help patients manage cravings and improve their lifestyle, either through physical exercises, meditation, or a change in diet. The first and hardest step of overcoming addiction is getting the courage to ask for help. Detox clinics can help patients suffering from heroin addiction overcome their illness, but it’s vital that they make the call as soon as possible. The Windward Way Treatment philosophy is all about offering both compassion & fully customizable structured care. We have crafted our addiction treatment program to be your “hope-away-from-home.” Since our experts continually receive regularly ongoing training of how to offer the utmost quality rehab for heroin possible, we will be providing you or your loved one the care he deserves. No one begins the use of any substance ever believing that he will eventually need heroin addiction treatment. Given heroin’s capacity to wreck lives and its status as one of the greatest habit-forming substances in existence, it has proven itself—time and again—as enemy #1 for the men who enter our program. The facts speak for themselves, heroin can and does kill thousands each year. Don’t become another unfortunate statistic; call our treatment center now 855-491-7694. Don’t think for a second that we’d shy away from this challenge! Instead, Windward Way brings you an intricately structured, empathetic, and hope-filled therapy to deliver new life for those addicted to heroin. Young men just like you find recovery every day at Windward Way’s heroin addiction rehab. Our addiction and recovery pros can give you the answers you’re after. 855-491-7694. The care providers at Windward Way are well aware of how that clock on the wall just seems to stop when you’re going it alone, “cold turkey.” But you can rest easy knowing that our clinically supervised heroin detox will smooth your transition off heroin. Our intake specialists can inform you of the medications we use to facilitate an effective transition to detoxify your body from this poison. Windward Way has wide experience as a fully certified substance abuse rehab to stop heroin addiction dead in its tracks. Above all else, we do this to give you a new life. With a friendly and informative chat, our intake specialists will show that our admissions process is remarkably straightforward to enter heroin addiction treatment. Imagine how great life could be: you, your son, boyfriend, husband, or friend won’t need to follow heroin’s siren call any longer. You can act right now to get the answers you’ve been looking for: 855-491-7694.